For much of Syria’s seven-year war, the YPG, which stands for People’s Protection Units, have battled Arab insurgents for control over Kurdish parts of northern Syria, while in an uneasy, on-off truce with al-Assad’s forces. Since 2014, the group played a major role in defeating the so-called Islamic State in and around Raqqa, with backing from the United States. But the YPG reportedly refused to relinquish its control over Afrin, and, more importantly, Russia refused to back al-Assad against Turkey in Afrin, forcing the Syrian president to scale down his ambitions. Instead of dispatching a formal Syrian Arab Army detachment, al-Assad merely green-lighted the arrival on 21 February of local militiasfrom two nearby pro-government towns, Nubul and Zahra. The towns had previously been rescued by the YPG when under siege by Turkish- and US-backed Sunni rebels, and militia leaders now wanted to repay the favor. Airwars, a London-based nonprofit that collects evidence on airstrike casualties in Syria, has published a dossierlisting numerous cases in Afrin. 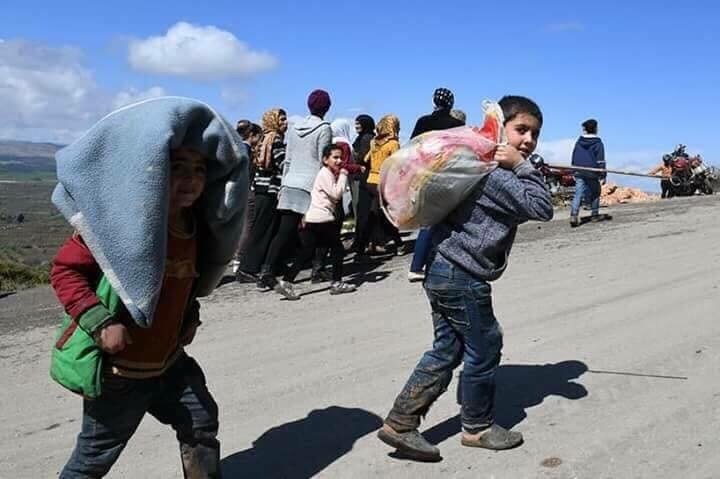 Separately, a pro-YPG news agency claims 289 civilians have been killed by Turkish forces and their allies since 20 January, including 43 children.